The best way to make gluten free desserts it’s to use recipes that don’t contain any gluten in the first place. Unfortunately, in our Western world where wheat is extensively and cheaply produced it’s hard for other recipes even to survive, let alone spread and multiply. Or rather it was hard in the 20th century where the knowledge, although was available in libraries for anyone to use it, wasn’t so easy to reach for everyone as of today. Nowadays the knowledge of whole humanity at our fingertips day in and day out. The prevalence of this knowledge is invasive that some opt to shun it away to be able to cope with the days. Well, it may not be the knowledge they are afraid of but simply fed up sharing funny cat videos for hours on end. That could be pretty daunting task to do on the long term but everything has its price. 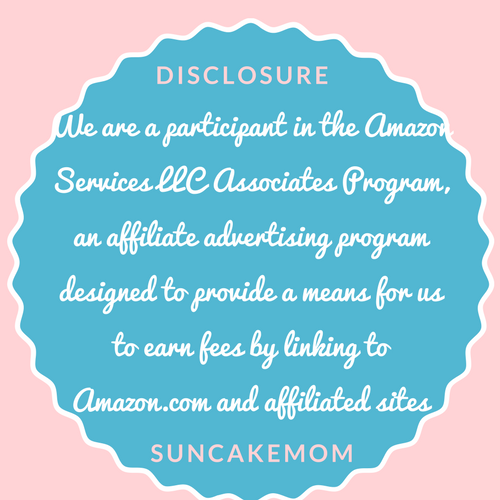 If the price of free gluten free recipes is sharing funny videos half mindedly on social media so be it. It isn’t as high a price as almonds were in the middle ages where this cake is originated from. 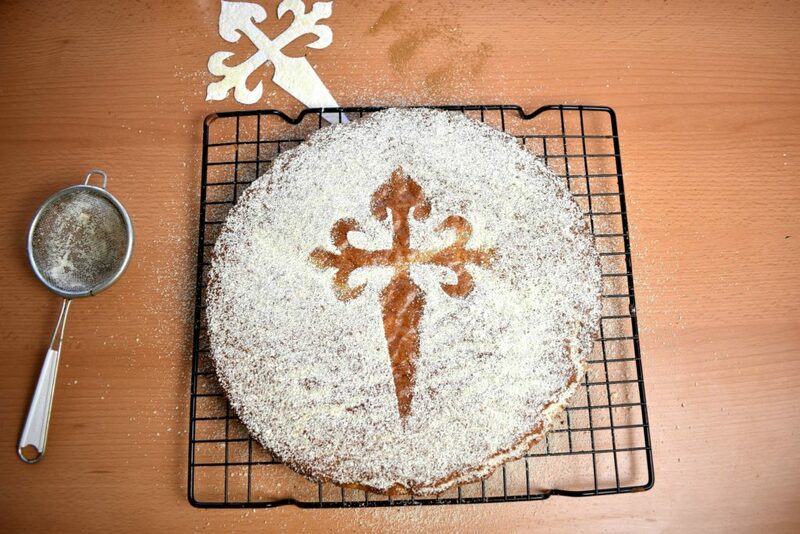 Tarta de Santiago or Saint James Cake is now well-known dessert from the North of Spain, Galicia. It’s so popular there that this cake was chosen to represent the country in the Café Europe initiative of the Austrian presidency of the European Union in 2006. The same cultural initiative where we could find Gugelhupf, Tiramisu, Dobos Torte, Apple Pie, Cinnamon roll, Oatmeal cookies or Shortbread among others which all is worth more than a couple of hurriedly found words. So, Tarta de Santiago or Torta de Santiago as it is called in Galicia; because they have their own language, like a country in a country; has a long traditional presence there, despite the lack of main ingredient, almond. Yes, this is an almond cake and little more else. 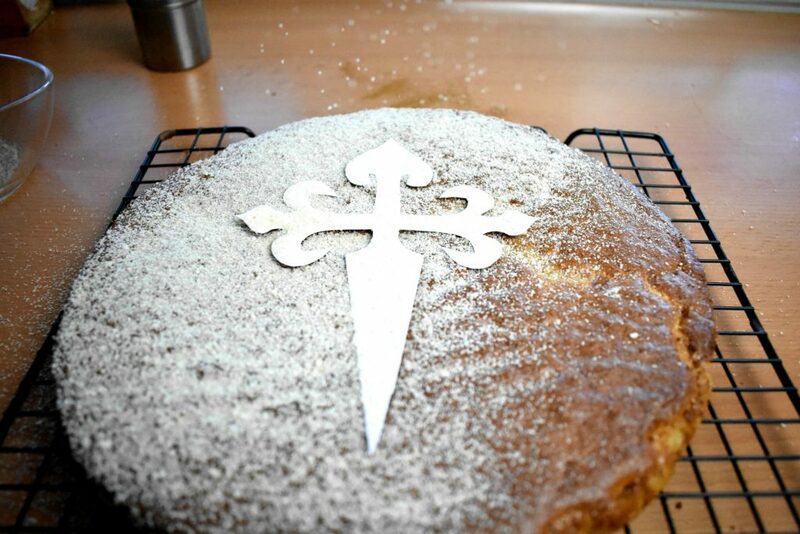 The cake’s main characteristic nowadays is Santiago’s sigil imprinted on the top that was added to the original recipe in 1924 as a decoration. It resulted so popular over the years that without the powdered sugar and the sigil, the cake isn’t a Santiago’s cake but just and ordinary thing without honor or respect. 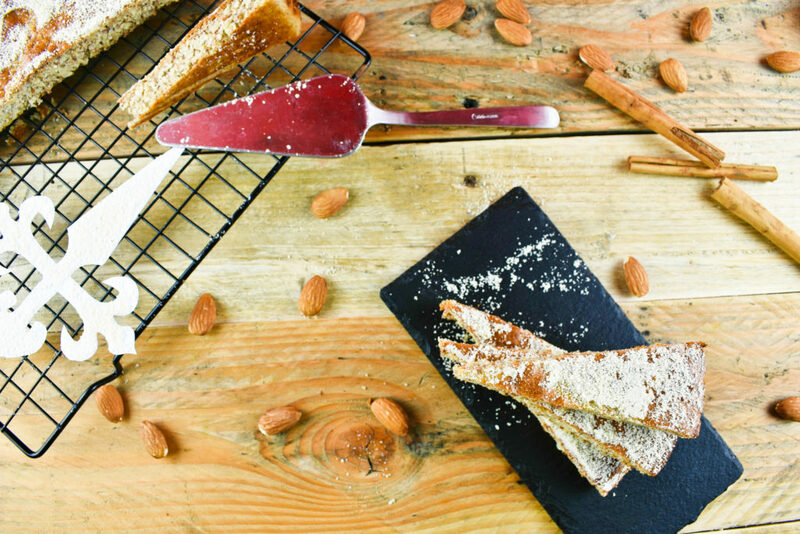 Luckily for those who are after a sugar free cake we can substitute the powdered sugar with finely ground almond to reach the same effect as confectionary sugar would do, keeping traditions and trends aligned. The cake’s popularity has something to do with the fact that it is served all the way along the Camino de Santiago which is a world-famous pilgrimage may be known to the English speaking world as Way of Saint James. The pilgrimage attracts more than 100.000 people yearly since 2004 but 2018 seen a record breaking 300.000 people walking the routes of Santiago and eating his cake along the way. 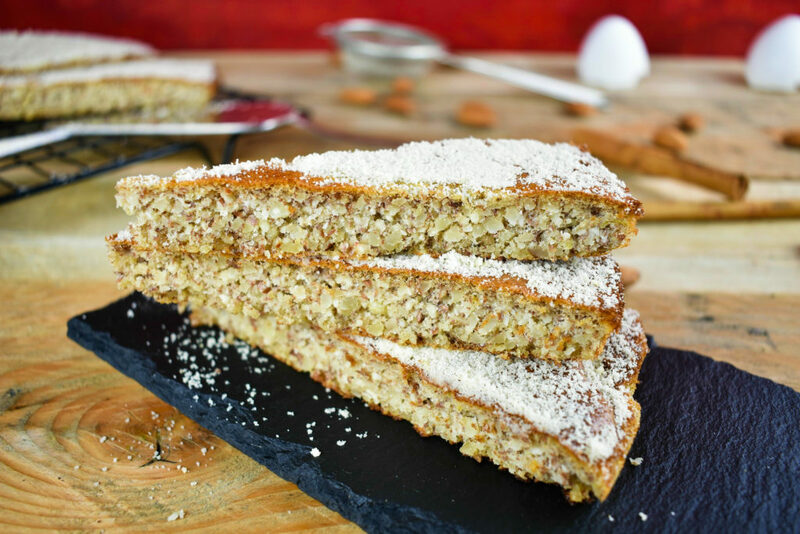 The cake is naturally gluten free as it consists only almonds, eggs and some sort of sweetener in our case honey but as always, any kind of sweetener can be used instead of the natural ones even sugar. Tarta de Santiago is essentially a pound cake as it requires equal part of the ingredients to be mixed together and then baked but we may skip adding that much sweetener to a cake as to avoid overwhelmingly sweet cakes and ruin or sense of flavor. 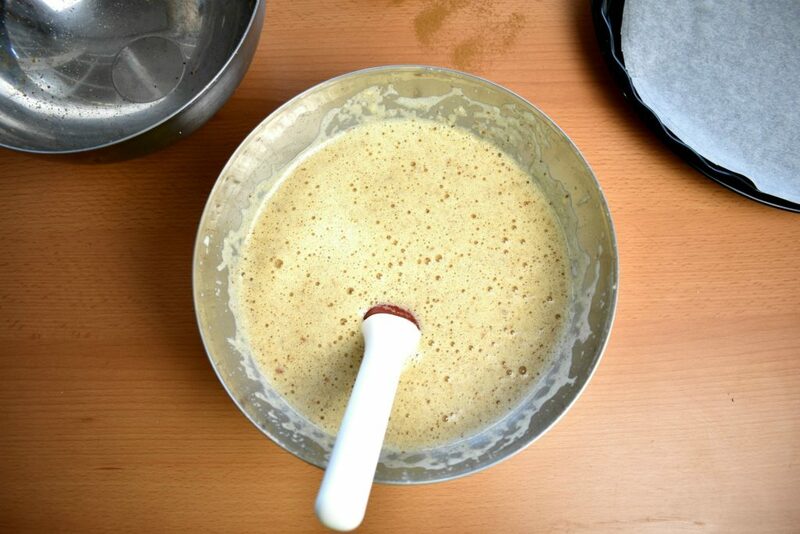 Prepare round cake form with a parchment paper. Prepare dry ingredients, grind almond if needed. Wash lemon and grate the skin to get the zest. Combine ground almond, lemon zest and cinnamon together. Break the eggs and mix them with the honey. 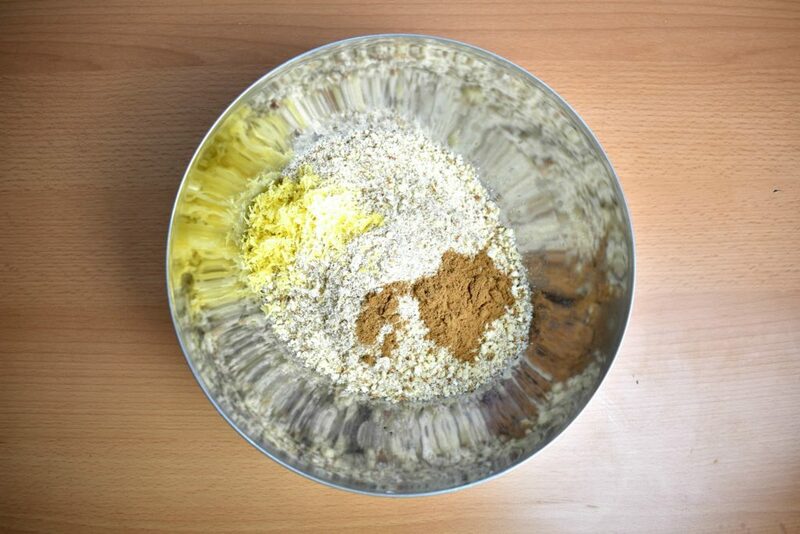 Pour dry ingredients into the egg mixture and stir them well to get an even mixture. 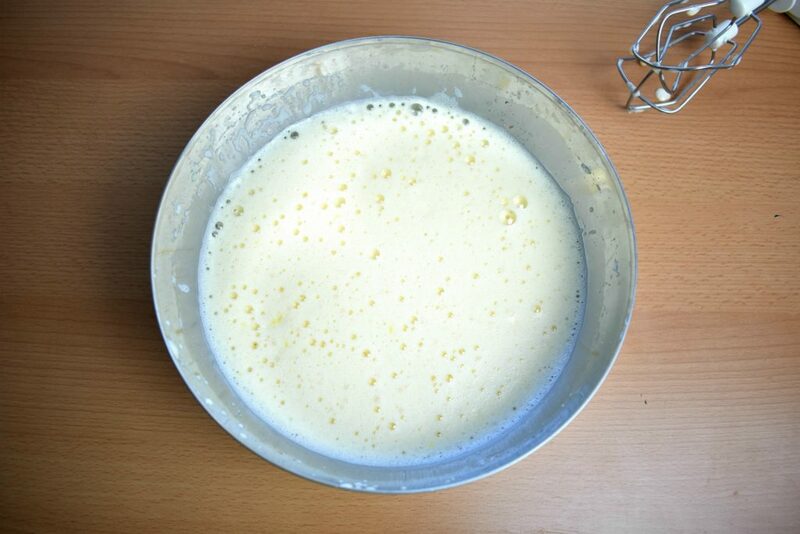 Pour the batter into the cake form and put it in the pre-heated oven for 12-15 minutes to bake. 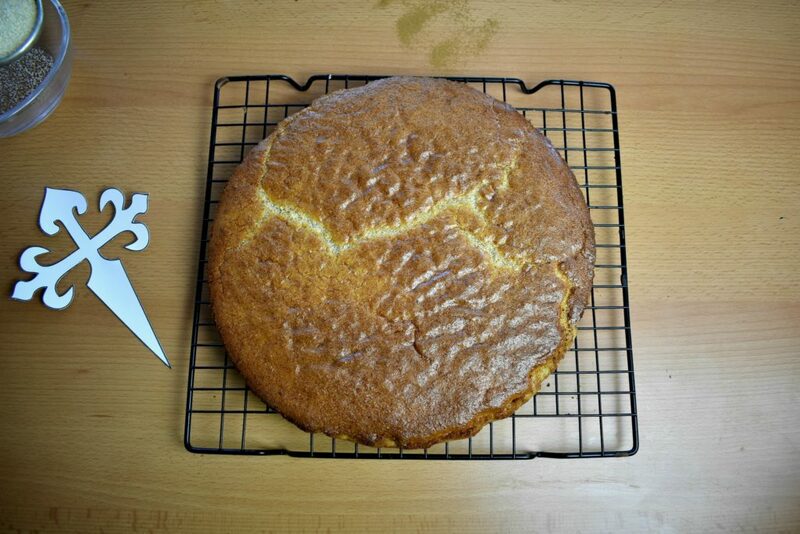 Take it out of the tin onto the cooling rack to cool down. 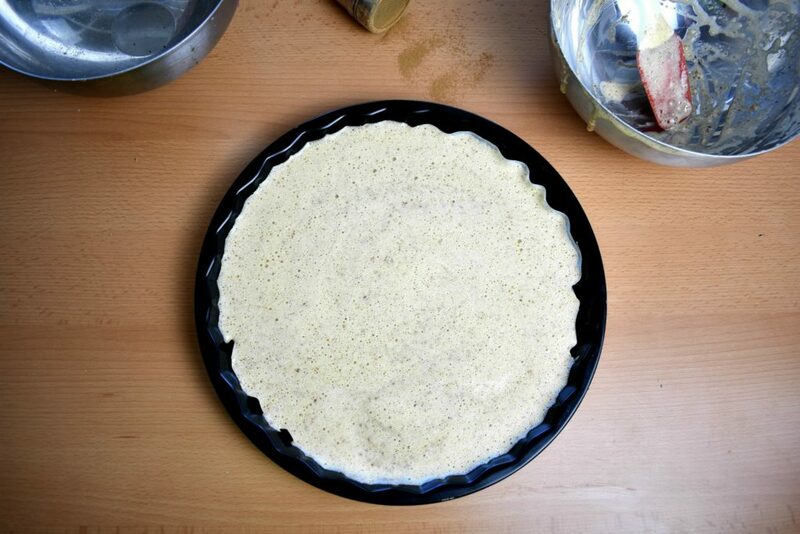 Place the cross shape in the middle and sprinkle ground almond around it. Take the cross off and the cake is ready to be served.